And we have a winner of this year's The Band Christmas Quiz! Congrats to John Stevenson from Oregon, and thanks to Jonathan Katz for providing the sound samples for the quiz. Levon Helm will appear on the TV show ABC Nightline tonight, Friday December 30th, 11:35 EST. 63 years ago, on December 29, 1942, Rick Danko was born. He is deeply missed. The music will live forever. Levon Helm will appear on the TV program ABC Nightline this week - either Thursday or Friday night (12/29 or 12/30). Check local listings at the ABC website. "HAPPY HOLIDAYS!!! And a special welcome home to our dear friend Butch Dener. We have added some holiday music to both the Garth Intro Page (an "All the Shadows of 'Nuff" edit) and the Garth and Maud Home Page ("Wheelchairs on Fire") for you to enjoy. Also please checkout the Family Room at GarthandMaud.com for a special musical selection performed by Garth's cousin Keith, among other things." Starbucks just released the compilation Elton John's Christmas Party , with The Band's "Christmas Must Be Tonight" included. An "academic investigation" of The Last Waltz titled The Last Waltz of The Band, was released by Pendragon Press in October 2005. The latest issue of the music magazine Mojo has a huge "Best of 2005" section. The Band's A Musical History is the "Reissue Of The Year"! An interview with Robbie Robertson, where he talks about the brown album, is available from the BBC web site. He-hey, the answers to our Christmas Quiz are pouring in after we added the hints yesterday! More than 100 e-mails so far, many with the correct answers. The quiz will stay open until New Years Eve, when the winner of a signed copy of Garth and Maud Hudson's wonderful 2005 live album LIVE at the WOLF will be drawn. "Frosty the Snowman" -- a special Holiday download from Professor Louie & The Crowmatix and Woodstock Records! Looks like our Christmas Quiz this year was a little too difficult, no correct answers so far. We've now added a few hints that should help you. If you already sent us an answer, then please try again after reading the hints. And remember: You may win a copy of Garth and Maud Hudson's wonderful 2005 live album LIVE at the WOLF, signed by Garth and Maud! "Home Is Where the Fans Are " -- review of Levon's last Midnight Ramble from today's New York Times. Richard Manuel's beautiful "Whispering Pines" from The Band has made it onto The National Playlist on CBC Radio (Canada's national public broadcaster). This is a top ten list where a panel of experts from the music industry pitches songs each week. Four are voted onto the list, replacing the four that are at the bottom of the list. Anyone can vote every 24 hour. If you want to help keep WP on the list, you may vote here. 6 tracks from the 1989 sessions that Garth Hudson did as a member of the group Last Train South, are now available on a new CD titled Cowboy Angel. The CD can be ordered from CDBaby. Check out the Last Train South web site for more info, sound clips and photos of Garth with the group. 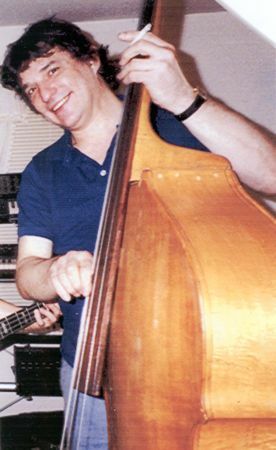 "Just Your Fool" -- Rick Danko w/Sredni Vollmer, from the Electric Bass Techniques instructional video. "Somewhere Down the Crazy River" -- from Robbie Robertson. "Up on Cripple Creek" -- from the Ed Sullivan Show, 1969. Good news: Our friend Butch Dener, former manager for Levon Helm and the Band and a regular contributor to this web site, went through a liver transplant yesterday after a very long wait for a donor. Butch is in now in a recovery unit, and his doctors say the surgery went well. Hope to see you again soon then, Butchie, stay strong! New web server statistics created from the logs for October and November. We have another 10% increase in the traffic this year and now deliever more than 1 Terrabyte(!) of data each month. The prize in our The Band Christmas Quiz has been upgraded: The winner will now receive a copy of Garth and Maud Hudson's wonderful 2005 live album LIVE at the WOLF, signed by Garth and Maud! 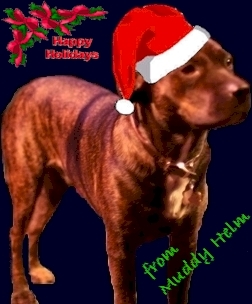 Seasons Greetings from Muddy Helm! There are a few seats available for the New Year's Eve Ramble with The Levon Helm Band, The Alexis P. Suter Band and special guest "Hipmotism" with Erik Lawrence, Art Baron (former trombonist from Duke Ellington's original band), Rene Hart and Allison Miller. The January 14th Ramble will feature Jim Weider & The Honky Tonk Gurus featuring: Randy Ciarlante, Colin Linden, Richard Bell, and Albert Rogers. Need to do some Holliday Shopping?? Check out The Levon Helm Store. We would like to thank all of you for your support this year and a special thanks to Levon and Sandy for having us into their home to be part of these history making events. See you New Year's Eve at Levon's. Professor "Louie" and The Crowmatix have just added new dates to their performance schedule. Added another Big Pink photo to the Band fans gallery. New concert dates for Jim Weider's ProJECT PERCoLAToR and the Jim Weider Band. A Dutch TV program showing The Band live at the Syria Mosque in Pittsburg, November, 1970, has been made available at the YouTube video sharing web site. Viewing requires a Flash-enabled web browser. Sonny Miller, musician and Band fan from Cleveland, Ohio, has just released the album Jewels Dance Hall. The CD includes a tribute to Rick Danko titled "Danko's Blues (all in all)". For sound samples and more about this album, check out the CDBaby web site. Phil Lesh and Friends, November 23rd, 2005 -- with a live version of "This Wheel's On Fire." "Revisiting the Big Pink house" -- article about Jim Weider and The Band from the Rochester Democrat and Chronicle. The bluegrass band the Waybacks did a version of "When You Awake" at the Canal Club in Richmond, VA, on 06.29.2005. A complete MP3 of the song is available from archive.org. Added scans of some movie theatre promo photos for the Last Waltz. Contributed by Serge Daniloff. "Red dirt magic: Emmylou visits Woodstock" -- review of the 12.03.2005 Midnight Ramble at Levon's studio from the Woodstock Times. Thanks to Diane for sending us the link. "Garth & Maud Hudson and the Best, Hamilton Place Studio Theatre, Hamilton, Ontario, Canada, November 19, 2005" -- concert review by David Kidney from The Green Man web site. Photos of Levon Helm, Emmylou Harris and other artists, from the 11.26.2005 and 12.03.2005 Midnight Rambles in Levon Helm Studios, Woodstock, NY, are now available from levonhelm.com. The photos are presented as a slide show that requires a Java-enabled web browser. "Jammin' with Levon in Midnight Ramble", from the Times Herald-Record..
"Ramble starts and stops on perfect note ", from the Times Union. "Levon Helm's Midnight Ramble", audience review by Todd Atkinson. Added 2002 photos of Chris Curran and friends with Garth and at Big Pink to the Band fans gallery. "The Band: A Musical History" -- extensive review from Stylus magazine. "He Shall Be Levon" -- article about the Midnight Rambles from Chronogram magazine. Added lyrics for the song "Richard", a tribute to Richard Manuel written by fellow Stratford musician Ted Schinbein on the day that Manuel died. Schinbein recently released the album Remembering Rankin. Rockabilly raconteur Ronnie Hawkins has always looked and talked like an Arkansas relative of Shakespeare's lovable rogue Falstaff. Now, he is playing a truly Shakespearean stage at last. Hawkins and Friends, including ex-Londoner Garth Hudson and his wife, Maud Hudson, and Stratford guitar ace John Till are scheduled to perform at Stratford's Festival Theatre on Jan. 28, 2006, at 8 p.m. More friends, guests from Hawkins' fabled past, are expected to be confirmed soon. The Arkansas-born musician first settled in Ontario in 958. Hawkins hired many fine musicians, including Hudson and the rest of The Band, over the years. He now lives on Stoney Lake, north of Peterborough. Hawkins turns 71 on Jan. 10. Tickets are $64.50, plus applicable charges, and are available online at www.standingovation.ca. Public sales begins tomorrow at 9 a.m. through the box office at 1-800-567-1600. Thanks to Serge Daniloff (who used to play with John Till in the '80s) for sending us the clip. To all of the great fans: Thanks for all the great response to the new release "Crying Heart Blues" by Rick Danko. Jan Haust, in Toronto, has given all of us a wonderful surprise in sharing these un-heard treasures by my favorite singer Rick Danko. Knowing and working with Rick was a blessing I will never forget. He had a way about him, that brought out the best in everyone he came in contact with. Rick made sure you felt good about yourself. I believe people should be remembered by their work. Rick no doubt, carried some excess baggage in his life, but as I heard him say many times, he was just a "human". Garth and Maud Hudson played the Hamilton Music Scene Festival with their new band The Best! on Saturday. They also played one song, "It Makes No Difference," on Sunday at the Festival's Awards Ceremony. Daniel Lanois won several awards at this ceremony. Garth Hudson presented him with a Lifetime Achievement Award. Daniel Lanois, upon accepting the award for Best Instrumental, gave it to Garth with the words "This is Garth Hudson's Award." Added more information (composer credits and track details) and another sound sample ("Java Blues", 950K MPEG-3 file) for the new Rick Danko CD Cryin' Heart Blues. Thanks to Harm Van Sleen and John Donabie for the contributions. "Could that be our Nazareth? ", article by Kurt Blumenau about "The Weight" from The Morning Call , with references to Peter Viney's analysis of the song from this web site. There's a new DVD boot out in Japan, with '80s TV appearances by Rick Danko and Levon Helm, titled AIRS: Sound Stage '80 & Midnight Special '80. Hipmotism: Erik Lawrence - Saxophones, Steven Bernstein - Trumpet/Slide Trumpet, Rene Hart - Bass Allison Miller - Drums and with, special guest John Medeski, of Medeski/Martin/Wood. We now have Gift Certificates available for the Holidays. Photos from the November 12, 05 Ramble are posted. 2006 Midnight Ramble Schedule is up. A unique ensemble of bands and musicians will perform The Second Annual Tribute To The Songs Of The Last Waltz by The Band on November 25, 2005 at Smiths Olde Bar in Atlanta, GA. Photos of Levon Helm and other artists from the 11.12.2005 Midnight Ramble in Levon Helm Studios, Woodstock, NY are now available from levonhelm.com. The photos are presented as a slide show that requires a Java-enabled web browser. Added complete track lists for the new Rick Danko and Richard Manuel CDs Cryin' Heart Blues and Whispering Pines. Thanks to John D. for posting these in the new "guestbook". Garth Hudson plays on one track on the new album Coming To Get You from New York rock band Johnny Society. The Band's performance on The Ed Sullivan Show from November 1969 is now available on the new 3-DVD set Ed Sullivan's Rock 'N' Roll Classics. Added Bennett's album 3 Minutes to Midnight to the Levon Helm discography. Here's a 26-minute long interview with Robbie Robertson (19MB MPEG-3 file) by Nic Harcourt, from the November 3, 2005, Morning Becomes Eclectic show on Southern California NPR station KCRW. Robbie talks about (and plays songs from) the box set A Musical History, the Raging Bull soundtrack and the two-fer reissue of his first solo albums Robbie Robertson. Storyville. The interview is also available for free from iTunes. Thanks to Peter Viney for the contribution. Hey, I just joined the World of Band fans! The current issue of the bimonthly international music and fashion magazine Clash has an extensive interview with Robbie Robertson, from a two-hour interview session Robertson did with Simon Harper. "The Band and Me (Or, how I learned to stop worrying and love the Beard) " -- from popmatters.com. "Information on the Band's A Musical History box set", from Wu Mitchell. And now it's time to cast your vote again.. who did the best version of the "Third Man Theme", The Band in 1973 or Anton Karas in 1949? New review at puremusic.com of Jim Weider's latest CD Percolator. The Michael Ochs Archives has a presentation of musicans portrait photographer James J. Kriegsmann's work, including the interesting story about Kriegsmann removing singer Bruce Bruno from a well-known '60s Levon & the Hawks promo photo, when the group shrunk from a septet to sextet. Thanks to Bill for posting about this is the new "guestbook". Here's a news clip about Garth Hudson in the London Free Press (with comments from Serge Daniloff), from a story about London, Ontario, natives who helped define the city. Replaced the ancient 8- and 16-bit AU-format audio samples from Garth Hudson's Our Lady Queen of the Angels with better-quality sound in MPEG-3 format. For our Italian visitors: Check out the first installment of Maurizio di Marino's extensive history of The Band: "Storia di una (the) Band". You may want to take a look at the web site for the band Last of the Blacksmiths, an Americana act obviously named after track 3 on Cahoots. OK, so we have a group called The Weight, and now this one. Any other groups named after Band songs out there? Glide magazine has a giveaway contest where you can win the new Band box set A Musical History. Good luck. "There is a new website this year Snobsite.com inspired by the book titled The Rock Snob's Dictionary: An Essential Lexicon of Rockological Knowledge by David Kamp & Steven Daly. There are two pages of particular interest which are two entries in the Annals of Rock Snobbery Archives: "Music (and jokes) From Big Beard" and "King Rock Snob (Has Surely Come)". The latest issue of Bass Player magazine has a review of the new Band box, with emphasis on Rick Danko's bass playing. The Emmylou Harris Show on December 3, 05 is now sold out, Sure to be a great one! The November 12, 05 Ramble will guest The Jim Weider Band with Tony Levin on bass, Randy Ciarlante on drums, Jesse Gress on guitar and Carlos Valdez on percussion. Regulars will include The Levon Helm Band with Little Sammy Davis and The Alexis P. Suter Band. Just a few requests are available for the remaining Rambles of 2005, so order now! The Midnight Ramble CD/DVD's are now being shipped. Hope see you all at Levon's next weekend and get ready to RAMBLE!!! Australian rock band, Jason Walker and the Last Drinks, are holding a Last Waltz tribute show at the Manning Bar at Sydney University on Friday November 25th, to celebrate the 29th anniversary of the final concert of one of the greatest bands that ever took the stage. Tickets $18 if pre-booked through Moshtix. $20 at the door/$15 for students on the night. The Last Drinks will be playing a nearly complete Last Waltz set, with some surprise additions. Expect to hear all your Band favourites, a horn section, the famous guest spots, plus a few more tunes that weren't recorded that night at the Winterland 29 years ago. Woodstock Records has just released the live album The Spirit of Woodstock from Professor "Louie" & The Crowmatix w/the Rock of Ages Horns, with cover versions of songs by The Band, Bob Dylan and other artists. 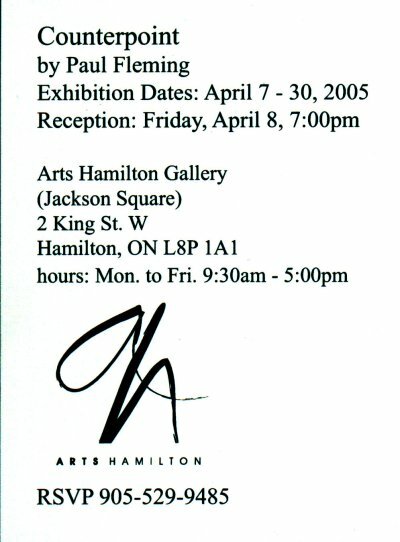 Added the concert poster for Garth and Maud Hudson's performance in Hamilton, Ontario, Canada, on Saturday November 19, 2005. For more about the gig and the venue, see the web site for the Hamilton Music Scene Festival. OK, time to cast your vote: The Byrds vs. The Band -- who did the best version of the Dylan/Danko song "This Wheel's on Fire"? "By the time we got to Woodstock...." -- check out Harm Van Sleen's travel report from this Easter. Thanks for documenting this trip Harm, and for not documenting certain parts of it :-)... and for doing all the driving. Added the new album Starving Winter Report from the Deadstring Brothers, to the list of cover versions of Band songs. Starving... includes a cover of "Get Up Jake" (4.9 MB MPEG-3 file). For more about the Deadstring Brothers and their musical influences, see the interview with singer/guitarist Kurt Marschke at americana-uk.com. Thanks to Knut Steile for the album info. and the audio file. The 2-CD Deluxe Edition of Joe Cocker's classic live album Mad Dogs and Englishmen, includes among its bonus tracks a previously unreleased (and quite good) cover of "The Weight" (13.1MB MPEG-3 file), Thanks to John Donabie for sending us album details and the MPEG-3 file. The Band is the artist of the week at the Canadian TV channel "Bravo!". A 4-minute streaming video (in RealVideo format) about the new box set, including interview clips with Robbie and Rob Bowman, is available from the Bravo! web site. Check out this new (8.7 out of 10.0) review of the new Band box A Musical History, from Pitchfork, a very popular online site that specializes in undergound and indie music. Thanks to Seth Glick for the link. Just a word to let you all know that we've cancelled the December 10, 2005 Ramble, but have re-scheduled it for December 3, 2005. Why? Because EmmyLou Harris is coming to play at that Ramble!!!! Get your reservations in early - this show is going to sell out quickly! Levon and EmmyLou together for the first time in 30 years! Could Evangeline be on the song list? We're all hoping. The 2006 Midnight Ramble Schedule is now available from levonhelm.com. Here are more quotes from the Dutch Robertson interview mentioned yesterday, translated by "Ragtime". New photos of Garth Hudson in Ontario, 2003. "Just read a Dutch OOR-interview with Robbie Robertson promoting A Musical History. Actually it's quite interesting. One of the questions is whether there was any Levon Helm participation in this project, and apparently there is. Robbie called Levon to check details on many recordings, because according to Robbie, Levon's memory is the most reliable." We hope to have an English translation of this interview available for you soon. Garth and Maud are pleased to announce the name of their band: "THE BEST!" A core group of seven and a full group of 12... Melding elements of jazz, rock 'n' roll, blues, gospel, folk, and world music. Those joining the Hudsons at the Hamilton Music Scene Festival on November 19th are: Mark Dzuiba, Marty Ballou, Ernie Colon, Steve Elson, and Erin Hill. "......Robbie Robertson, of course was the group's lead guitartist and primary songwriter, but this set makes vividly clear what an extraordinary ensemble the Band were. As musicians and vocalists drummer Levon Helm, pianist Richard Manuel and bassist Rick Danko were somehow able both to evoke highly distinctive moods and characters and to disappear into these songs' meticulous arrangements. Organist Garth Hudson is a constant wonder, a never-ending font of jaw-dropping musical ideas. "Genetic Method," his lengthy introduction to "Chest Fever" is only his most obvious moment of mastery." Added a 2005 photo of Band fan Ed Orso on stage, doing his "Danko in '71" impersonation. Books and videos from Ralph J. Gleason -- the world's first syndicated jazz columnist; critic, Grammy-nominated liner note author, interviewer, television and Emmy-nominated documentary producer -- are now available from the Jazz Casual web site. Gleason's work include some brilliant articles on The Band concerts and albums, see e.g. his 1969 review of their first concert as The Band. Upcoming Gleason releases include the DVD Bob Dylan -- A Poet's Press Conference (Eagle Rock, 2006), with never-published liner notes to the legendary, never-released 1960's Dylan live LP. Capitol Records' official web site for the new Band box set A Musical History can be found at thebandmusic.net, a nice, Flash-based site with loads of sound samples, purchase links and more. New, good quality video of "One Too Many Mornings" from Dylan and the Hawks' Tour '66 available from aol.com (with an annoying AmEx ad first). Looks like this one is for M$-Windows users only. You can also watch "Subterranian Homesick Blues", with Robertson and Ginsberg in the background, from the same site (click link to the right of the video window). Thanks to Jonathan Katz for the links. But A Musical History, as Robbie Robertson's baby, is skewed in his favour at the expense of his ex-bandmates"
Garth and Maud Hudson will be celebrating the recent Canadian release of their duo album LIVE at the WOLF in Hamilton, Ontario at the Hamilton Music Scene Festival on November 19th. An announcement will be made to the press in Hamilton on Tuesday, October 18th. More info soon. Added sound samples, cover art and more info. for The Chili Brothers' 1988 album Empty Bottles, featuring nice vocal work by Rick Danko. The CD is available through the Chili's singer/guitarist Toney Medeiros at medeirostony@hotmail.com. New concert dates for Jim Weider's ProJECT PERCoLAToR. Added an article about the new Band box set from a Swedish newspaper. We are hoping to have a release party for LIVE at the WOLF in Hamilton or Toronto, Ontario during the weekend of November 19. Stay tuned for an update as soon as we have it for you. "Robbie Robertson proud of The Band" -- Robbie interview from the Toronto Sun, October 2005. New photos of Robbie and Rob Bowman, signing the new box set in Toronto. These photos were first published at the new "Band guestbook". Added two drawings of The Band by 19-year old undergrad student Jamie, from McGill University, Montreal. New tour dates for Professor Louie & The Crowmatix. Garth Hudson is among the musical guests on the new album Separate Ways from Teddy Thompson. New review and tour photos from the Levon Helm Band's concert in Little Rock, AR, October 1st, 2005. Thanks to Tim Jones for the review and Joe Lore for the pics. Added new photos of John Christin, "Jojo" with Hank Wedel and "Pete" to the Band fans photo gallery. Robbie Robertson will be the guest of Danny Marks, host of "BLUZ-FM" on JAZZ.FM91 Toronto, Saturday, October 8, 2005. The show runs from 8:00 p.m. to midnight (Eastern Daylight Time). The Canadian entertainment show eTalk Daily is airing a segment tomorrow, Friday October 7th, featuring Robbie Robertson. On CTV at 7pm ET. "By the time I got to Woodstock..." -- great review (with photos) from the 09.24.2005 Midnight Ramble at Levon Helm Studios. Added lyrics for Rick Danko's song "Home Cookin'" from the new box set A Musical History. Transcribed by multi-instrumentalist Gabe Downey from the group The Weight. Levon Helm & the RCO All-Stars Live - new album recorded in New York City on New Years Eve 1977/1978 -- pre-order from levonhelm.com. "Dylan and Band debuted in Austin" -- September 2005 article from the Austin American Statesman. Contributed by Tom Ordon. The Levon Helm Band are playing at the The Peabody Little Rock ballroom, located in the hotel at Three Statehouse Plaza in downtown Little Rock, AR, tomorrow, Saturday October 1st. See porterjones.com for details. Photos of Levon Helm and other artists from the 09.24.2005 Midnight Ramble in Levon Helm Studios, Woodstock, NY are now available from levonhelm.com. The photos are presented as a slide show that requires a Java-enabled web browser. We've received many reports from users about slow web server response lately. The problems seem to be caused by heavy traffic, in particular long-lasting audio and video downloads from The Band site and the hessdalen.org site (the real X-files) -- the two sites share the same discs. Our Linux wiz, Victor, has been tuning the server for a few days, and things seem to have improved. Notify us if the problems pop up again. Thanks. All the new, wonderful CDs from Rick Danko, Richard Manuel and Garth and Maud Hudson can now be ordered directly from Other Peoples Music, at a better price than you get from Amazon et al. And, OPM will send along a free double disc blues sampler as a gift, with the purchase of any 2 or more CDs from their site. Other Peoples Music now have few song samples available from the new Rick Danko CD Cryin' Heart Blues! Added scans of the insert in the new band box set, promoting the Band-related CDs from Other Peoples Music. Thanks to Jan Haust for sending us these. New photo of Robbie signing The Band box set A Musical History at a book store in California on Tuesday. Contributed by John Scheele. "The Band: The first great American rock group", article from the Houston Chronicle yesterday. New photo of Big Pink, taken last month. Added a photo of Steve Lewis with Garth to the Band fans photo gallery. Garth Hudson plays on the new album Roots'N'Roll from Canadian veteran musician Bill Culp. 25 new links from Brown Eyed Girl. The forthcoming Levon and the Hawks box will be an 8-disc set entitled From Bacon Fat to Judgement Day. New Rick Danko CD, Cryin' Heart Blues, with 17 previously unreleased studio and live tracks, including Rick's follow-up to his 1977 self-titled solo debut(!). Finally: Garth Hudson's 1980 masterpiece Our Lady Queen of the Angels is now available on CD, restored and remastered from the original recordings. US/Canada release of the 2002 Japan-only Richard Manuel live album Whispering Pines , with bonus studio cuts from the Garth Hudson archives not found on the Japanese CD. New release of Garth and Maud Hudson's LIVE at the WOLF. The Danko, Manuel and Hudson(s) CDs will all be available for purchase starting September 27, 2005, to coincide with the official release date of The Band: A Musical History. "The Band: A Musical History" -- Rolling Stone review of the new box set. "Boxed Set Closes Book On The Band... For Now" -- article from billboard.com where Robbie talks about writing The Band's history himself. "Robbie Robertson to Autograph New 5-CD + DVD Box Set: 'The Band: A Musical History' at Exclusive Los Angeles In-Store Event" -- from biz.yahoo.com. Robbie will appear at Borders Books & Music, Westwood, Los Angeles, CA, on Tuesday September 27th. Added an MPEG-3 file with the cover of "The Shape I'm In" (3.6MB) from Hot Apple Pie (Hot Apple Pie, 2005). Contributed by Daan from the Netherlands. New audio and video clips from the Levon Helm Band's appearance on the "Imus in the Morning Show" on MSNBC today, are now available from levonhelm.com. Added the album Hot Apple Pie (Hot Apple Pie, 2005) to the list of cover versions of Band songs. The CD contains a cover of "The Shape I'm In." Thanks to Brown Eyed Girl for sending us this info. Hip-O (a reissues label in the Universal family) is planning a reissue of Robbie Robertson and Storyville for October 11th. The albums will be combined in a 2-CD set with bonus tracks "Christmas (Must Be Tonight)" (Robbie's version from the Scrooged soundtrack), a gospel remix of "Testimony" (by Georgio Moroder), "The Far Lonely Cry Of Trains," and interview segments from Robertson (ICE Magazine, issue 223 Oct. 05). Thanks to Todd R. for informing us about this release. New '80s photo of Rick Danko with fans. Contributed by Michael Bates. Added photos of Dennis Rosenfeld at Big Pink and Rick Danko's grave to the Band fans photo gallery. The Levon Helm Band will be appearing on the "Imus in the Morning Show" on MSNBC, between 6:00 am & 10:00 am Wednesday, September 21st. Added an MPEG-3 file with Enoch Light's 1973 instrumental cover version of "Dixie" (3.1MB) from the album Brass Menagerie. Thanks to Dag for posting this one in "Little Pink". Garth and Maud are very happy to announce the U.S.A. release date of October 18 for LIVE AT THE WOLF. Garth Hudson is a guest performer on Neko Case's forthcoming 5th solo CD, to be released in February, 2006, titled "Fox Confessor Brings the Flood." The Levon Helm Band will be playing in Little Rock, AR, on Saturday, October 1, 2005. See porterjones.com for details. "Burrito Grande" -- December 2004 Garth Hudson bio/interview from The San Diego Union Tribune. Added a photo of Paolo Vites with Rick Danko in Italy, 1994 to the Band fans photo gallery. Let us not forget that 40 years ago today, Sept.15, 1965, Bob Dylan jetted into Hogtown by private plane to begin 3 days of rehearsals with LEVON & The HAWKS at the Friars Tavern on Yonge Street for the forthcoming World Tour. "Under the leadership of: Levon Helm ( The Hawks )"
"Date of Employment: One week commencing September 13th,1965"
Saturday- 3 - 5 pm & 8 - 11:30 pm"
"Price agreed upon: $1250.00 weekly, plus E. P. W. Pension of $39.21"
"Less 10% to Harold Kudlets Agency, Suite 824-825 Sheraton-Connaught Hotel, Hamilton, Ontario, Canada"
confirmed by telegram & signed on behalf of Levon Helm by Harold Kudlets. The Hawks even found time to take Bob up Yonge Street to Lou Myles, tailor to the stars, to have him fitted for one of their classic Herringbone suits. Later, on November 14th, Bob Dylan, sporting the new Herringbone, with Levon and the Hawks, returned to Hogtown to play down the street at Massey Hall. The Toronto Star reviewer wrote : " Dylan, once a purist, folk poet of America, was now electronically hooked up with a 3RD RATE YONGE STREET ROCK 'N' ROLL BAND "! Levon quit the combo a couple of weeks later.... Brian of Woodstock, do we know the whereabouts of that reviewer today? Our friends at levonhelm.com have published some good photos of Levon Helm and the other artists that performed at the 09.10.2005 Midnight Ramble in Levon Helm Studios, Woodstock, NY. The photos are presented as a slide show that requires a Java-enabled web browser. Joe Lore sent us a couple of photos from last night's Midnight Ramble at Levon's, and has also posted a review of the gig. Thanks, Big Joe. Our ol' friend Peter Stone Brown has published his 1977 interview with Rick Danko on his web site. Added cover art for the new boxed set A Musical History. Bobby Charles is back with a new, great album, Last Train to Memphis, with some exceptional playing by Sonny Landreth, Geoff Muldaur, Pat Breaux, and Rufus Thibodeaux, among others. Charles' title song also appears on The Band's final album Jubilation, with a few extra verses written by Levon Helm. For more about the new album and Charles' connections to The Band, see the October 2004 cover story from the Gambit Weekly or listen to this cool interview with Bobby Charles from Weekend America. Thanks to Jonathan Katz for updating us on Bobby Charles. He-hey! Our "house" DJ/turntablist's new website final.no is up and running -- and he'll be representing Norway in the 2005 DJ World Championship in London this month! "Helm opens his New York home to fans wanting to Ramble" -- 08.28.2005 article from the Arkansas Democrat-Gaze. "'The Battle Is Over (But The War Goes On)' is Levon's best performance since 'Dixie' at The Last Waltz... It's all fabulous stuff with astonishing sax work. You really have to get this album! It crawls under your skin in the very best way." Added a page for the new Bob Dylan compilation No Direction Home. The latest issue of BigO magazine has The Band on the cover, and an article about The Band's "lost" album Tombstone, recorded for Sony with Jules Shear in 1990/91, but never released. This article is also available on-line, complete with "cover art" and full-length MPEG-3 files (!) with all 10 "album tracks". The Muddy Waters Band will be appearing at the September 10, Midnight Ramble -- don't miss this one! "'Fats' Domino Found in New Orleans". New great photos from Levon Helm's 08.27.2005 Midnight Ramble available at levonhelm.com. The photos are presented as a slide show that requires a Java-enabled web browser. "This album is dedicated to the memory of Syreeta Wright, Phillipe Wynn, Rick Danko, Ray Charles and Richard Manuel. They made music that I grew up listening to and loved, and they were my teachers. They were great teachers, because they didn't know they were teaching, they were just doing the next right thing. They taught with love and by example, without prejudice or guile, simply by being true to themselves. The music they made guided me through this life, providing me with all the principles that I needed to be happy and free. First they taught me to listen, then to love to listen, and then with all humility, to try and provide with love and care, music that was safe and for others to listen to." "The Band Gets a Five CD/DVD Box Set on September 27" -- July 2005 article from If magazine about the new The Band boxed set. The concert video Let It Rock from Ronnie Hawkins 60th birthday gig in 1995, featuring Rick, Levon and Garth, is now available on DVD. Added the new album Live on Great Jones Vol. 1 from Jimmy Vivino's band Steaks & Chops to the list of cover versions of Band songs. The CD contains covers of The Band's "We Can Talk" (the first officially released cover version of this song?) and "Tears of Rage." We should begin shipping "The Midnight Ramble Volume II" by the end of next week. Please keep in mind, pre-orders will be shipped first. Have a look at the award winning film Levon narrated for NASA TV, "John Young All American Astronaut". There are a few seats available for the August 27 Ramble. Log on and request your invitation today. This show will include The Levon Helm Band with Little Sammy Davis, Ollabelle, Alexis P Suter. The live recording of Levon and Dylan doing "The Weight," posted here yesterday, was recorded on May 29, 1988, at the Lone Star Cafe in New York. It is available on the bootleg Crossing the Great Divide. Thanks to everyone who responded to our request for information. New concert dates for the Jim Weider Band..
Jim Weider has a featured artist page on the Vox Amps website, with sound clips from the Percolator CD, using the Vox Tone Lab. Someone sent us this live version of "The Weight" with Dylan and Levon (6.5 MB MPEG-3 file)... anyone know when and where this one was recorded? More track details for the upcoming The Band 5-CD+DVD box A Musical History. Added a review from Guitar Player Magazine of Jim Weider's new album Percolator. New interview with Jim Weider in The Wire. Check out the items up for auction on Butch Dener's website. The money is going to help with medical costs being incurred in connection with Butch's liver transplant. New photos from Levon Helm's 07.30.2005 Midnight Ramble available at levonhelm.com. Ex-Faiport folk-rocker wanted to join the group that cut this great Americana milestone. Big Pink came as a bit of a shock back in 1968. It seemed to vault over the zeitgeist, back to purer roots, a kind of counterculturecounterculture. The psychedelic bands were playing bits of blues and country, but The Band seemed to have real authority and a perfect synthesis of Americana styles. And they wore suits! And they had short haircuts! They had a profound, long-lasting effect on the groups around the London scene, and everybody was trying to play that slow 4/4 groove as featured on "The Weight". I think The Band must have invented that feel. I can't really see a direct precedent, but it was the perfect antidote to hippie excess and sloppiness. Those boys certainly knew how to play on the back of the beat. What a rhythm section, Danko and Helm - not many their equal in popular music; Garth the mad professor on keyboards, great guitar from Robbie, three superb singers.... what else do you need? I suppose the other surprise was that the album didn't sound much like the guys who back Dylan on the '66 tour, where tempos were up, and playing was intense. I loved the songwriting style, which seemed to have roots all over the place, but which was distinctive, and often seemed based on common band experience, so that whoever was chiming in on vocals would know quite a bit about the subject matter. "Tears of Rage" is still one of the great Dylan covers, and it remains a definitive version. The next album, The Band (1969), is a better record overall, but for shock value, Music from Big Pink has to be one of the most important records in music history. Thanks to Harley from Scotland for posting Thompson's article in the new "Band guestbook". Here are Bill Holland's program notes for the The Band tribute concert in Rockville, Maryland, next Wednesday. 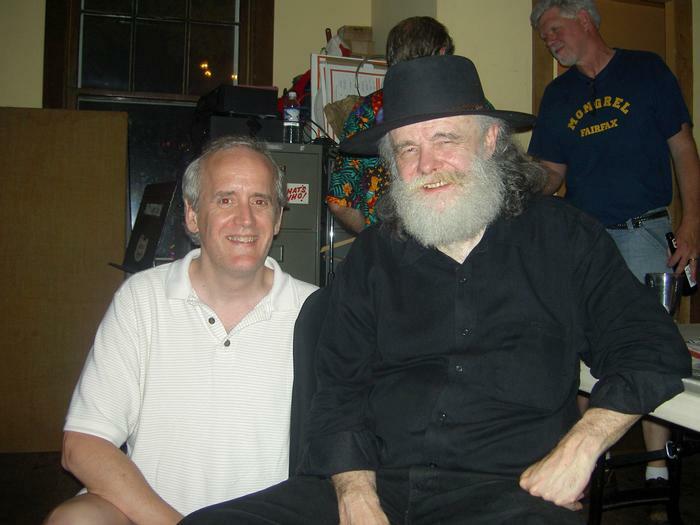 New photos of Garth Hudson with Spurlock, from Austin, TX, 07.05.2005. Contributed by Tom Treanor. There's a good article in The Gazette about The Band tribute concert in Rockville, Maryland, next Wednesday. Levon Helm appeared with Hubert Sumlin and his band at the Borgata Casino, Atlantic City, NJ, on July 24th 2005, opening for Tom Petty. Levon played drums and also did some singing. Michael Mabbott's comedy The Life and Hard Times of Guy Terrifico, a mockumentary about a charismatic but troublesome country rocker, played by real-life musician Matt Murphy, frontman and guitarist for Super Friendz, a now-defunct Halifax band. Guy Terrifico has a wealth of cameos from Ronnie Hawkins, Kris Kristofferson, Levon Helm (as himself) and other music stars who play along with the gag. Added pictures of Freddie Bateh and familiy visiting Richard Manuel's grave in July 2005, to the Band fans photo gallery. The Experience Music Project in Seattle has announced that Robbie Robertson and Al Kooper will be part of a special Bob Dylan weekend this fall, date and venue TBA. Thanks to Dave in Tacoma for the info. The Band web site was moved to a new and much faster server (freja.hiof.no) with eons of disc space today. The address is the same (theband.hiof.no), but it is now mapped to another IP address -- this may confuse your web browser for a little while, until the IP change has been propagated throughout the internet. Everything at the site should work as usual. Happy browsing. "OK... here it is, I can really sign off on this; the definitive musical history of The Band" -- Robbie Robertson . Quote from an article in the August issue of Ice about the new boxed set A Musical History. Rest in peace, Al Aronowitz. It's Garth Hudson's birthday today. Happy 68th, Honey Boy! Added the poster for the Band tribute concert in Rockville, Maryland, next Wednesday. "My Little Woodstock" -- new review of Levon Helm's Midnight Ramble, from The Times-Picayune. The Pixies' Frank Black is teaming up with Levon Helm and other veteran musicians for his next solo album, according to an article in the Los Angeles Times. Richard Manuel and The Band's great version of "Georgia on My Mind" is included on Inspired by Genius..., a new compilation of Ray Charles covers. Garth Hudson plays on two songs on the new debut album Thanks from Spanish group Blueberry Hill. New promotional CD for the upcoming Band box set A Musical History. Garth Hudson was recording with the Secret Machines up at Allaire Studios near Woodstock, NY recently. The yet-to-be-named album will be released next year sometime. New page for a 1970 promo single by The Symbols, with a cover of "Dixie," added to the list of covers of Band songs. Contributed by Stephane Rebeschini. Added a chapter from the book Rock of Ages: The Rolling Stone History of Rock & Roll: "The Counter-Counterculture", about country-rock. Contributed by Steven Knowlton. New tour dates for Professor Louie & The Crowmatix. Also, check out the photos of Prof. Louie's recent tour of Siberia! The Band web site crew are taking another week off, this time in Stockholm, Sweden. No updates until next Sunday, then. Surstromming och nubbe, here we come. Garth Hudson guests on a great, new album titled Rebecca Drive, from Sweden's Willy Clay Band. New photos from Levon Helm's 06.25.2005 Midnight Ramble available at levonhelm.com. Levon Helm Studios are announcing the release of a historic live album starring Levon Helm and the RCO All-Stars recorded live at the Palladium in New York City on New Years Eve 1977/1978. The album features over one hour of live tracks by a star studded cast of musicians playing to the excitement of a New Years Eve crowd in the greatest city in the world. This classic collection of American music features Levon Helm (drums/vocals), Dr. John (keys/vocals), Paul Butterfield (harmonica/vocals), Fred Carter (guitar/vocals), Donald "Duck" Dunn (bass), Steve Cropper (guitar), Lou Marini (saxophones), Howard Johnson (tuba/baritone sax), Tom "Bones" Malone (trombone) and Alan Rubin (trumpet). More details here. Levon Helm is appearing as an old blind man living in a shack in the desert in Tommy Lee Jones' new movie, The Three Burials of Melquiades Estrada. The film is getting rave reviews and recently scored Cannes Film Festival awards. See the movie trailer at levonhelm.com. A Musical History, the new 5-CD+DVD The Band boxed set from Capitol/EMI, will be released in September. Read more here. Robbie Robertson is voicing a new video ad promoting Toronto, Canada. Thanks to John Donabie for the link. The Jim Weider Band, April 28th, 2005, Revolution Hall, Troy, NY: Check out this audience recording and review. We're spending the next two weeks in the UK, first lovely Somerset, then the Brighton hip-hop festival and a weekend in London. This web site will probably not be updated or maintained until the end of July. Garth Hudson and Tommy Spurlock will be interviewed by Jody Denberg at 3:00 pm tomorrow, Wednesday July 6th, on KGSR 107.1 FM Radio Austin. Garth will also do an on-air performance. Listen live at kgsr.com. New links from Brown Eyed Girl! Levon Helm Studios is pleased to announce "Midnight Rambles On Demand"
If you missed a live Midnight Ramble or the PPV WebCast you can now view it from our site at a time that's convenient for you 24/7. Starting July 1st you can order streaming videos of the Midnight Rambles and other events. To kick off this new service we will be presenting the May 25th, 05 Ramble. The Levon Helm Band, starring Little Sammy Davis with Erik Lawrence on sax and Steven Bernstein on trumpet, Larry Campbell, Mike Merritt, Jimmy Vivino and Brian Mitchell on piano. The Bennett Brothers with Alexis P Suter. Deep Singh. The Apple Pickers Union. 5 hours 7 minutes. Thanks and see you at the next Ramble!! There were certainly some left-hand (not to mention right-hand and both feet) fireworks on display at Wednesday's Garth Hudson on the Hudson show at Stuyvesant High School. I was grateful for the weather-related venue change since there's always a lot to take in at a Garth show and I find it easier to concentrate in a theater than out in the open. Garth and Maud's show was indeed magnificent, certainly among the best I've seen them perform. The first half-hour was an all-Garth extravaganza on grand piano, digital piano, organ and synthesizer. A highlight for me was a medley of Dvorak's "Going Home" (Largo) with Garth's own "French Girls" (which has evolved substantially since it originally appeared as the last song on The Band's final album). Garth also surprised us with an uncharacteristically straight version (relatively speaking) of Ellington's classic, "All Too Soon." Garth was then joined by his "musical conspirators": Paul Rigby, guitar; Marty Richards, drums; Marty Ballou, bass; and Ernie Colon, percussion, plus Lenny Pickett and Steve Elson on reeds and Earl Gardner on trumpet, for a few inspired instrumentals including an incredible version of "Concert Hora." They are all great players and each knew how to follow Garth's lead. Then it was Maud's turn to make her entrance. She enchanted the audience and didn't lift her spell over us until the lights came up. She got the house rocking with the Dixie Hummingbirds. "When I Go Away" and her rousing original, "You'll Be Thinkin'," and all the players were having a blast. Between songs Maud was encouraging Garth to sing and he described to the audience what happened when he sang during one of his first performances as a youngster, and why he has, for the most part, since left the singing to others. I won't give away the punchline... or Maud's whole setlist, but I'll just say that it ran the full range of styles and emotions, something few singers can accomplish. The final additions to the ensemble were the beautiful and talented (sorry, but it's true) harpist extraordinaire Erin Hill, and Argentinean singer, composer and author Tangoman, also known as Jorge Heilpern, on classical guitar and vocal, for the (surprise!) Latin part of the show. People in the audience were clapping with the tango beat and I half expected the auditorium to erupt in a frenzy of forbidden dances and tropical fervor at any moment. The show proper closed with Maud's uniquely soulful version of "The Weight," after which the gentleman who booked the show explained that the evening's event started with Garth's appearances with the Dixie Hummingbirds and Wilco at the Newport Folk Festival. I, for one, am thankful for the serendipity, and to the River to River Festival. It's always a treat to see and hear Garth and Maud, and it was great to chat (short for chew fat?) in-person with Dave and Chris Zuck (who were none the worse for wear) plus Maud's nephew, Drew; her newest fan, Heidi Hall; and the smiling man behind the scenes, Jan Haust. Yep, it was one for the books. What books, you ask? Well, the Hudsons are full of surprises. And, any day now, Tributosaurus becomes THE BAND, featuring our old friend Pat Brennan as Garth Hudson! He-hey! The new websites for Garth and Maud Hudson, garthhudson.com and garthandmaud.com, are up and running! Best of luck, Garth and Maud, from everyone here at The Band web site. "'Big Pink' Is Just a Home in Saugerties"
1968 New York Times review of Music from Big Pink. "Band Album Mines Dylan Vein"
1968 Los Angeles Times review of Music from Big Pink. "The Band Shuns the Bandwagon"
1969 New York Time article about The Band. Thanks to Steven Knowlton for archive scans, Jonathan Katz for OCR-scanning and Jan Fowler for typing the articles. Added a page for the new various-artists album Into the West, featuring Robbie Robertson. GARTH HUDSON on Grand Piano, Keyboards, Organ, Tenor and Soprano Saxophones, Accordion, and whatever else he wants! Neko Case is unable to join us as planned because her recording schedule was changed to meet deadlines. We'll miss her and look forward to her new CD when it is released. Garth recorded piano, organ, and accordion on it. Neko's guitarist Paul Rigby is still joining us much to our delight. For more information about this event, see hudsonriverfestival.com. "The Band Breathes Fresh Country Air Over Fillmore East"
"'The Band' Rocks With Hillbilly Ease"
"Problem With Sound Mars Band's Efforts"
"The Band: Their Theme Is Acceptance of Life"
Thanks to Steven Knowlton for archive scans, Jonathan Katz for OCR-scanning and Edward Pirozzi for typing the articles. A prodigiously talented multi-instrumentalist and virtuoso keyboard player, Garth Hudson provided lush and innovative accompaniment to the music of The Band. For this remarkable showcase of jazz, rock and everything in between, he plays ringleader to a troop of important and seasoned musicians like Lenny Pickett, Arti Dixson, Marty Ballou and Tangoman, along with the new breed of musical savants like Neko Case and Paul Rigby." For more information, visit rivertorivernyc.org, hudsonriverfestival.com or call 212-945-0505. "The Band: Islands" -- positive 1977 review of Islands from ZigZag magazine. Contributed by Bob Wigo. RONNIE HAWKINS has come out of semi-retirement. He played the Starlight Club in downtown Waterloo, Ontario on Saturday night. It was an early show with 7 pm start. Two sets, both were magnificent. The venue and sound was impeccable. Hawkins is currently rehearsing at the club and appeared on stage with aging rocker Andy Kim last Thursday. Hawkins will be performing the next three Fridays at the Starlight (Fri. June 23rd; Fri. July 1st (Canada Day); and Fri. July 8th) and then a full-week engagement July 24th-30th. And yes, his group plays a few Band songs. Right now the dates aren't up on the Starlight website but they should be shortly, Ronnie was announcing the shows from the stage. Added a photo of Robbie receving his honorary Doctor of Laws degree from York University in Canada this week. Thanks to Serge Daniloff for scanning and sending us the photo. Check out these photos of Ronnie Hawkins and the Hawks in 1963 and Dylan and the Hawks in Canada in '65 from the Clara Thomas Archives at York University in Toronto! On June 3rd, Ronnie Hawkins received an honorary doctorate from Laurentian University in Ontario, Canada (Ronnie's comment: "Dr.Hawkins here, all women please line up for their gynecological exam..."), and this week Robbie Robertson received his honorary Doctor of Laws degree from York University in Toronto -- see the articles "A 'Laws' For Words" (from Pulse24, including video clips of Robbie speaking at the ceremony) and "Music legend strikes a chord" (from the Toronto Star). Garth Hudson will be featured with Tommy Spurlock's band "Spurlock" at The Saxon Pub in Austin, TX, on July 5th. Tommy has been working with Garth for 25 years on various recording projects, including The Band's Jericho CD. Garth will be in Austin to record with "Spurlock" this summer. Added an MPEG-3 file with Garth Hudson's beautiful "Feed the Birds" from the 1988 Disney compilation Stay Awake. Thanks to Johnny Gundersen for sending us this one. "The Band Comes Back to California"
"Richard Manuel, 40, Rock Singer and Pianist"
Thanks to Steven Knowlton for archive scans, Jonathan Katz for OCR-scanning and Kevin Gilbertson, Gabe Downey and "Jen" for typing the articles. "For the Band Fans, the Long Wait is Finally Over" -- 1975 review of Northern Lights -- Southern Cross. Thanks to Steven Knowlton and Mark Atkins for scanning and typing the article. He-hey! Our house DJ/turntablist is releasing his first EP/mixtape this month, check the sound samples! Only 4 days remaining to order the next Levon Helm Midnight Ramble WebCast! Added new photos of Richard Manuel's sidewalk star, memorial bench and grave marker, in his home town Stratford, Ontario. Thanks to Irene and Ray from London, Ontario, for sending us these pics. You may now download the track "Cowboy Angel" (3.8MB WMA-file) from the unreleased Last Train South album recorded in 1989, featuring Garth and Maud Hudson. Thanks to producer Dale Lambson for sending us this track and giving us permission to share it on the web. Request for assistance: Steven Knowlton has been kind enough to send us scans of 13 historical articles about The Band from various newspapers. The scans are not machine-readable, so the articles need to be typed in (as plain text files, Word-files or whatever) before we can add them to The Band web site. The editor of this site does not have time to do this, we need volunteers. The articles in question are available as a list of PDF-documents. If you want to help, check out this list and please let us know if you are willing to type in one or more of the articles. Thanks. Added a file with Robbie Robertson's two 1987 videos "Fallen Angel" and "Showdown at Big Sky,". Good quality Windows Media Video (WMV) format, file size is 25MB. Thanks to John Cline for providing these. We'll share with you this musical slide show inspired by Robbie Robertson. Thanks for sending us this one, "Jen." Beautiful. D.C. Area Musicians Present an "All Star Tribute to The Band"
On Wednesday August 10th, a stellar collection of Washington D.C. based musicians will join together for a unique program honoring the music and songs of The BAND. From 1968 through 1975, the Band was one of the most popular and influential rock groups in the world and their impact is still strong today as evidenced by the explosion of alt country upon the popular music mainstream. The show is being presented at Strathmore Hall in Rockville, Maryland and is a part of the SUMMER SOUNDS CONCERT SERIES of FREE concerts being presented outdoors on the Strathmore lawn. The show begins at 7:00 p.m. Performers include many of the most legendary names to grace the D.C. music scene, including nationally known blues and roots rockers ,THE NIGHTHAWKS, TOM PRINCIPATO, JON CARROLL (fromMary Chapin Carpenters band, who appears alongside Levon Helm on Emory Josephs latest recording), a rare reunion of THE ROSLYN MOUNTAIN BOYS (forefathers of the D.C. country rock scene in the 1970's), THE DIXIE POWER TRIO (a hugely popular quirky quartet featuring tuba, trumpet, guitar & drums), and other notables including, MARTHA HULL, TOMMY LEPSON & SOUL CRACKERS, BILL HOLLAND, DEAD MENS HOLLOW, BILL BAKER, DEEME KATSON, & TOM MILLER. 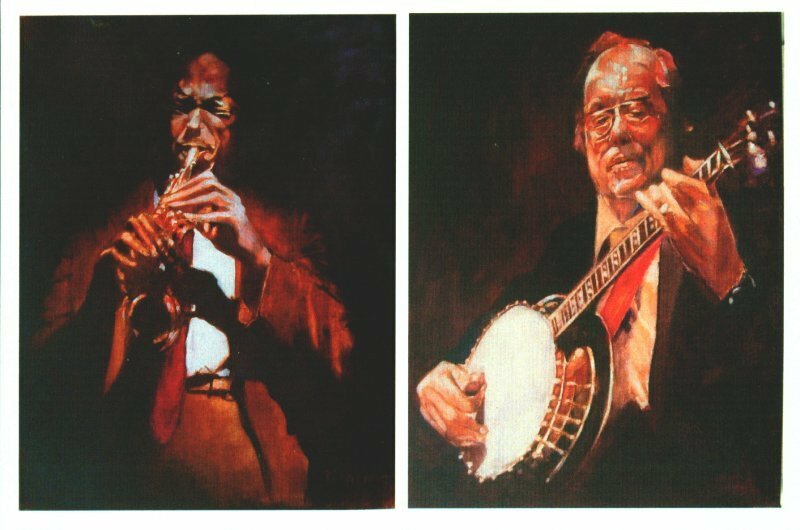 They will be backed up by an amazing collection of some of the areas best musicians, including BILL STARKS, JOHN HURD, ROBBIE MAGRUDER, BILL CRAIG, & SHEP WILLIAMS. Concerts are free, please, no dogs allowed, bring a blanket or low beach chair. Parking and DirectionsPatrons are encouraged to take Metro to the Grosvenor-Strathmore station on the Red Line. Parking is available for a fee at the Grosvenor-Strathmore Metro garage and along Tuckerman Lane. A SmarTrip card is required for the Metro garage. Accessible parking is available on-site on a space available basis. FOR MORE INFORMATION go to strathmore.org or contact; Ronnie Newmyer at Ronco1954@aol.com. It's Levon Helm's birthday! Happy 65th, Levon, stay strong! Added a page for an unreleased album recorded in 1989 by the group Last Train South, featuring Garth and Maud Hudson. Thanks to "Roger" for pointing us to this one. Levon Helm received the Pride Of Ulster County Award when the Levon Helm Band played on Armed Forces Appreciation Day in Kingston, New York on May 21st. LEVONS LEGAL WALTZ: Following Paper Trails' reports of Levon Helm's recent visit home to Arkansas and a profile on his friend, Anna Lee Amsden, made famous in The Band's song "The Weight" comes word from Levon's wife Sandy in Woodstock, NY, that he's filing suit against former Band member Robbie Robertson and possibly others. He met with New York lawyers Monday. Helm says he never received credit for contributions made to The Band's songs and wants to right that wrong. He has said other Band members (Garth Hudson and the late Rick Danko and the late Richard Manuel) were also shorted in the credit department. While Robertson had top billing in Martin Scorsese's documentary on The Band, The Last Waltz, Helm never saw a dime from the movie. And how did Helm find out "The Weight" was used in a Cingular phone ad? He saw it on TV like the rest of us. Added a 1959 video clip of Ronnie Hawkins and the Hawks. Copied from the Levon Helm web site. First levonhelm.com, and now this... hope to see it fully functional soon! Only 5 days remaining to order The Levon Helm Midnight Ramble WebCast!! Hey, happy b-day, sister Kristin! Singer Sara McLachlan has re-recorded her single "World on Fire" with Robbie Robertson for use in the upcoming TNT series Into the West. Executive-produced by Steven Spielberg, the program will premiere June 10. McLachlan and Robertson are featured in a new music video with footage from the series. The video can be viewed at the official Into the West web site (requires Flash-player, video is available from the "Soundtrack" section). A soundtrack album will be released in early June. Finally! Added sound samples from Garth and Maud Hudson's wonderful new album LIVE at the WOLF. Canadian release on May 24th. The CD is available from the Make It Real Records web site. Elvis Costello picked The Band's "Tears of Rage" as one of the 18 tracks on the new Starbucks' compilation CD Elvis Costello - Artist's Choice. "Arkansas runs deep in Levon"
"Anna Lee -- famous and yet obscure"
Young musical talent Myles Mancuso, who has been playing and rehearsing with Levon Helm several times, just won a National Award of Excellence for an original piece of music he composed called "the Levon Shuffle," based on the bond he has made with Levon. See the Poughkeepsie Journal and Myles' web site for more about the song and the award. We're spending next week "working" in Greece, at the lovely Hydra island. No more updates until Friday or so. New photo of Amy and Levon Helm from the concert with the Levon Helm Band in Little Rock AR, 05.02.2005. On Thursday, Jim Weider and Jim Tullio won the WC Handy Award for the best blues song of the year(! ), for "Have a Little Faith", the title song on the great Mavis Staples' 2004 album. "Levon in Arkansas -- review of the Levon Helm Band's gig in Little Rock, AR, last weekend. Jerry Lee Lewis duets with Robbie Robertson on a cover of The Band's "Twilight," on his upcoming album The Pilgrim. Thanks to Brown Eyed Girl for the info. Added a page with cover art, sound samples and video clips from the Levon Helm Band's upcoming CD/DVD The Midnight Ramble Sessions Vol.2 -- one of the greatest voices in rock'n'roll is back! Way to go, Levon! See THE LEVON HELM BAND and all his guests LIVE with the PAY-PER-VIEW WEBCAST available from levonhelm.com. Added/updated pages for the albums Martha Wainwright (Martha Wainwright, 2005, featuring Garth Hudson), Want One (Rufus Wainwright, 2003, featuring Levon Helm) and Want Two (Rufus Wainwright, 2004, also featuring Levon). Thanks to Peter Viney for sending us the details. "Whole Lotta Shakin' Goin' On" by Jerry Lee Lewis (piano), with Robbe (guitar and first solo), Eric Clapton (Guitar, and probably 2nd solo), and others. Intro by Robbie again, to "Hey Bo Diddly" by the man himself on guitar, with Robbie (guitar and first solo), Eric Clapton (guitar and 2nd solo) and the same others (including Paul Shafer, piano, and Will Lee, bass). Check out this The Band bio at the University of Vienna, Austria. Link courtesy of Jonathan Katz. 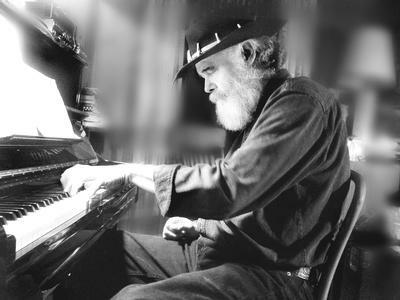 "Garth's Gear - The Classic Years" -- new article by Kerrin from New Zealand, about Garth Hudson's keyboards and other instruments. The Levon Helm web site are now taking pre-orders for The Levon Helm Midnight Ramble Sessions Volume 2 CD/DVD Box Set. Release date June 1, 2005, pre-orders will be shipped first. Jim Weider will play the Joyous Lake in Woodstock tonight, Saturday April 23, to kick off the release of Percolator, his latest CD. Read more about Weider and the new album in John Barry's article "Mixing up the groove" from the Poughkeepsie Journal. Added an unfinished version of "Book Faded Brown" (5.1MB MPEG-3 file), produced and recorded in 1991 by Jim Tullio. Garth was supposed to add organ and a solo to this, but it never happened. The line-up is: Rick Danko, vocal, John Scully, all keyboards, Jim Tullio, percussion, bass and guitars, and a "Phil Collins" field drum sample from John Martyn's Glorious Fool album. Another version of the song, still with Rick singing lead, was officially released by The Band in 1998 on Jubilation. A heartfelt thanks to Jim Tullio for sharing this gem with us. A bunch of The Band photo's from 9/2/1983 in Tokyo have been added to the archives. Thanks to Jim O'Brien for capturing these stills from the Japan Tour video. New photos of Robertson from this years' Rock Hall of Fame Induction Ceremony. According to billboard.com, singer Sara McLachlan has re-recorded her single "World on Fire" with Robbie Robertson for use in the upcoming TNT series Into the West. Executive-produced by Steven Spielberg, the program will premiere June 10. McLachlan and Robertson will also appear in a music video that features footage from the series. More Midight Rambles at Levon Helm Studios and several new concert dates for The Levon Helm Band have been announced at levonhelm.com. Most of The Band web site was off-line this weekend. The server failed due to too many simultanous file requests from visitors. We probably have to move again soon to a faster machine -- or maybe remove some of the audio and video material that causes the internet traffic peaks. Everything should be back to normal today. GARTH and MAUD Hudson's duo CD, LIVE at the WOLF has a new Canadian release date of May 24, 2005. New review by Dave Z of GARTH and MAUD Hudson's duo CD, LIVE at the WOLF. The Levon Helm Band will play at John Jay Senior High School in Hopewell Junction, NY, 06.17.2005, at 8.00 pm. Half of the proceeds go to John Jay High School's Blues In Our Schools Program. Come out and see The Levon Helm Band and help support this wonderful program for students. Looks like the next Midnight Ramble will be available on-line as a pay-per-view video thing, see levonhelm.com for details. "An Interview with Rick Danko" -- December 1977 interview by Peter Stone Brown, now available from peterstonebrown.com. "An Interview with Muddy Waters" -- 1978 interview by Peter Stone Brown, mentioning The Band, The Last Waltz, and the Levon Helm-produced Woodstock Album. "Honest With Me: Musical Stories on Bob Dylan" -- a series of audio clips at the KEXP 90.3 FM web site with stories on the musical life of Bob Dylan, told by Dylan's friends, scholars and fans. Includes a long clip titled "Dylan and the Band at Big Pink" (Windows WMA-format, also available as RealAudio), with Band music and a Robbie interview. Thanks to Jonathan Katz for this link and the one above. Robbie Robertson is writing a stage musical about Native Americans, according to playbill.com. "Helm delivers a once-in-a-lifetime moment" -- review in The Times Union of last Saturday's Midnight Ramble at Levon's. And a great night it was. Thanks from Harm and myself to Levon, the staff, and y'all (you know who you are) for a treating us so nice. We'll be back for more! Special thanks to Kay, Lil, Amanda, Laura(! ), Adela, Joe L., Bob, Todd and the rest of the Band site regulars, Butch the Baker, Jim Weider, John Simon and the late-night Easter Bunnies in Kingston :-) for making this a perfect weekend. "Musician Ronnie Hawkins, a pioneer of rock 'n' roll, will receive an honorary doctor of letters from the Laurentian University in Ontario, Canada, on June 3, 2005. Hawkins helped many Canadian musicians, including The Band, launch their careers." The current issue of Rolling Stone has a photo of Robbie Robertson's son, Sebastian on the cover, together with other children of rock stars. There's a picture of Robbie and Sebastian circa 1979 inside with the accompanying article. Also in another article about the Rock n' Roll Hall of Fame there is a photo of Robbie with Eric Clapton and others playing at this years induction show. "GARTH HUDSON On The HUDSON" featuring vocals by Maud Hudson: June 29, 2005, River-To-River Festival, Rockefeller Park, New York City, New York. FREE. 7:00 PM. The concert is centered on the many aspects of Garth's music and includes a large roster that will be revealed soon. GARTH and MAUD Hudson's duo CD, LIVE at the WOLF has a new Canadian release date of May 17(! ), 2005. More details to come after Easter holiday. Added the two albums Looking for Egypt (Eric Garrison, 1998, featuring Rick Danko and Garth Hudson) and These Days (Clay Dubose, 2005, featuring Garth Hudson). Thanks to Brown Eyed Girl for sending us this info. The recently released Ladder 49 DVD features the bonus music video, "Shine Your Light" featuring Robbie Robertson. Robbie is featured throughout the video - lip-synching on a rooftop across from the SunTrust building in Baltimore and in various settings throughout the city where the female lead, Jacinda Barrett, appears. Garth Hudson played on the 2003 indie album Flying Saucer Express!!! from Toronto 3-piece Welcome Karma. Added a page for the new Italian bootleg From Winterland 69. Thanks to Emanuele Marchiori for sending cover art and sound samples. Need to rent studio time? Why not go for the Levon Helm Studios? Jim Weider's new album Percolator is now available for purchase. Robbie Robertson performed at the Rock'n'Roll Hall of Fame twentienth annual induction ceremony that took place at the Waldorf Astoria hotel in New York City on March 14, 2004. The ceremony will air on VH-1 on Saturday, March 19, 9/8c pm. Added a page for the newly released DVD Lightning in a Bottle: A One Night History of The Blues, featuring Levon Helm. New, extended version of Peter Viney's article on "The Weight". Thanks to "Lizard" for posting this one in Norbert's Band guestbook. The "Little Pink" guestbook seems to be open again. Best of luck Norb'. GARTH HUDSON will not be joining Burrito Deluxe on tour this year because of other commitments. Any further concerts together will be announced here. Garth would like to thank those of you who have given your support by coming out to the concerts and purchasing Burrito Deluxe albums and hopes that you will continue to support the music of Sneaky Pete Kleinow and Carlton Moody in the future. The "Little Pink" guestbook closed down today due to abuse. Too bad. Tracy's "Old Pink" is still open, though, and there is always alt.music.the-band. Added short sound samples from The Midnight Ramble Sessions Vol.1 CD/DVD. Copied from levonhelm.com. Uncut magazine in the UK have produced a Band Issue with a free CD of music inspired by The Band. It goes on sale there on Thursday and will be available in the US and Canada a few weeks later. Thanks to Kerrin at IPC Media Ltd in London for the info. "Levon Helm finds his blessing's back" -- article/interview from today's Times Herald-Record. Thanks to the good people over at "Little Pink" for posting this one. Hope to see y'all at the Ramble. The Classic Albums: The Band video will be re-released on DVD by Eagle Rock Entertainment on May 1, 2005. New concert dates for Professor Louie & the Crowmatix. Hal Willner is arranging a Basement Tapes tribute concert at the Henry Fonda Theatre in Los Angeles, CA, on April 27th, according to an article in the Hollywood Reporter. Thanks to Jonathan Katz for the info. Link it to me, Brown Eyed Girl! "I Want to Know" (980K), with Levon on lead vocal. "I'm Ready" (1.3MB), with Lil' Sammy Davis on lead vocal. Solomon Burke's new album Make Do With What You Got, with a cover of The Band's "It Makes No Difference (740K MPEG-3) will be released on March 1st, 2005. An interview with Levon Helm (4.4 MB MPEG-3 file) from the "Imus in the Morning Show" on MSNBC today has been posted at levonhelm.com. 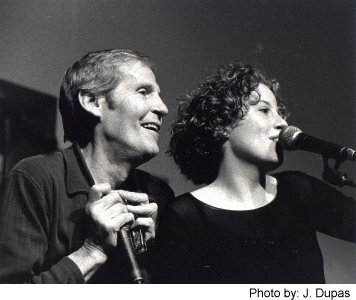 The Levon Helm Band, reinforced with Amy Helm and Ollabelle members, played 6 songs during the TV show, with Levon singing. New photos by Peter Shearn of Garth with the Dixie Hummingbirds in NYC, July 2004. Upcoming Midnight Rambles at the Levon Helm Studios: 05.28.05, 07.30.05, 09.24.05 and 11.26.05. Check out our Danish friend Thomas' page about Rick Danko's Fretless Ampeg bass guitars, including a link to a guy that still builds the classic Ampegs. A video clip with a nice Ronnie Hawkins interview is available from CBC Television's Monday Report web site. Thanks to Jonathan Katz for pointing us to this one. Jim Weider Band II: First show! New Band! New CD! The Jim Weider Band II at the Steel City Coffee House, Phoenixville, PA. Date: February 26, 2005, time: 8:30pm. 203 Bridge St. Phoenixville, PA. To reserve seating, order tickets from 610-933-4043. 2 sets starting at 8:30pm. This is the first show with the New JWB II Band playing the new CD Percolator -- Groove Guitar Instrumentals! (tapers welcome). For more info & sound samples check out the new web site at jimweider.com. New live cover of "Life Is A Carnival" (12MB MPEG-3 file) with Phil Lesh & Friends, live Oakland, CA, 02/12/05, featuring Chris Robinson of the Black Crowes. Added a page for Larry Groce's 1983 album Medicine Man, featuring Richard Manuel, Garth Hudson and Maud Hudson. Thanks to Gerhard Schinzel for the info. about this one. Check out this Rick Danko bio by John Cardiff, with stories from when young Rick worked as meat-cutter in the '50s. "Music legends share stage" -- review in today's Albany Times Union of the concert in Albany, NY yesterday with James Cotton and The Levon Helm band. The Egg in Albany, NY, has announced that The Levon Helm Band featuring Little Sammy Davis will perform tonight, Saturday, February 19th, at 7:30 PM in place of Clarence "Gatemouth" Brown who cancelled his appearance due to illness. The James Cotton Blues Band will also perform at the concert. Levon Helm will play with Buddy Cage, Vassar Clements and Mike Falzarano, celebrating Vassar Clements birthday, at Tribeca Blues in New York City, April 23rd, 2005. Ok... it's time to create the definitive list of artists that have recorded tributes to The Band and/or members of The Band. e-mail me your lists! Thanks. The Levon Helm Band will be appearing on the "Imus in the Morning Show" on MSNBC between 8:00am and 9:00am on Thursday, February 24th. You may view the show on MSNBC TV or listen on the radio. "Masterpieces in the past, dogged press in the present, Band partied to stay sane" -- new article about the Stage Fright album from the student newspaper the Chicago Maroon. Levon Helm's self-titled 1982 solo album is now available on CD in the US, from Kejo Entertainment. New concert dates for Levon Helm/The Levon Helm Band. Note that Levon and Amy Helm will now be making their Musicians on Call visit to the Sloan Kettering Memorial Hospital in Manhattan on March 15th and NOT February 22nd. The Bennett Brothers with Alexis P Suter. The Levon Helm Band, starring Little Sammy Davis with Eric Lawrence on sax and Steve Bernstein on trumpet. See levonhelm.com for more info. Garth Hudson joined Neko Case and The Sadies as Valentine's Day surprise guest last night at the Bowery Ballroom in New York, NY. New article by Sadavid about the Basement Tapes song "Ferdinand the Imposter." Jim Weider's new album Percolator will soon be released. More information available from the redesigned Jim Weider web site. New concert dates for Professor Louie & the Crowmatix and Jim Weider/The Jim Weider Band. New video interview with Levon Helm and Little Sammy Davis from the Levon Helm Band's "Blues for Schools" concert at John Jay Senior High School, Wappingers, NY, 01/19/05. Included a demo version of "Change is Good," (4.9MB MPEG-3 file) recorded in Chicago in 1992. Rick Danko and producer Jim Tullio are singing and they also played or programmed everything on the demo. The recording was done the day Rick, Jim and Ed Kaecher wrote the song. Another version of "Change is Good" was released posthumously on Times Like These in 2000. Thanks to Jim Tullio for sharing this one. The music memorabilia shop Wolfgang's Vault has opened a web site dedicated to The Band at thebandvault.com. Added photos by Mark Atkins of Robbie Robertson's star on Canada's Walk of Fame in Toronto. New photos by "Cousin Paul" from the Hard Rock Cafe in Toronto. Another photo of drummer Peter Deremigis from Robbie's early group the Suedes, contributed by Bill Munson. Included high-resolution scans of cover art for the Festival Express DVD set. Thanks to Niels Amond Adsersen for sending these. Added an MPEG-3 file with the track "Sail On" (5.0MB), featuring Rick Danko and Garth Hudson, from Hans Theessink's great 1991 album Call Me. Thanks to Jonathan Katz for this one. Also added a photo of Theessink and Garth from the recording session. See theessink.com for more about this fine artist. Added the Rick Danko bootleg Christmas Must Be Tonight to the bootleg discography. Thanks to Niels Amond Adsersen for cover scans. "The Band's Levon Helm won't be driven down" -- article from The Bradenton Herald, Friday, Jan. 28, 2005. Thanks to Tim Wood for the link. Both Garth Hudson and Rick Danko appear on the 2004 compilation CD Music That Matters from CoraZong Records. On February 25th, 2005, Levon and Amy Helm will volunteer their talents to "The Musicians On Call Program" at the Sloan Kettering Memorial Hospital in Manhattan. Levon and Amy will sing and perform for young children who are being treated for cancer in this wonderful program that has been proven to diminish their pain and suffering. The Levon Helm Midnight Ramble Sessions Volume 2 CD will be released in March, 2005, according to levonhelm.com. The CD/DVD combo Volume 1 will be shipped the week of February 7th. Robbie Robertson does a commentary track on the new Raging Bull DVD. And now for something completely different (sort of). Our favorite Norwegian group, the Respatexans, are releasing their second album, Shine On, this month, including a magnificient, Jericho-inspired version of "Blind Willie McTell". More info. and full-lenght sound clips available from respatexans.com (check the "sound/media" section). Garth Hudson and Burrito Deluxe are playing at the Sundance Film Festival in Park City, Utah, on Friday this week. See the concert list for details. Added cover art for Hubert Sumlin's new album About Them Shoes, featuring Levon Helm. New interview with Garth Hudson, from the January 2005 issue of the Italian music magazine Buscadero. There will be "Howlin For Hubert" night at BB King's in New York on March 5, 2005, with Levon Helm, Hubert Sumlin, Jimmy Vivino, David Johanssen, Mike Merritt and others. Doors open at 6:00, show starts at 8:00. Tickets are $30 per person and can be obtained through bbkingblues.com. On February 4, 2005, The Levon Helm Band, starring Little Sammy Davis will participate in a Blues In The Schools type program at the Booker School in Sarasota, Florida. Students and faculty will listen to the music of the legends and end the program with an interview session with both Levon and Little Sammy. Levon will present a $1000 scholarship check to a deserving student from The Levon Helm Music Scholarship Fund, sponsored by People's Community Bank of Sarasota, Florida. Levon Helm is scheduled to receive the Jack Douglas Music Award at the Sarasota Film Fest on Feb 3rd. New article in the Poughkeepsie Journal about the Levon Helm Band's involvement in the "Blues in the Schools" program. Details on the upcoming Scorsese documentary on Dylan can be found in this article from the Hollywood Reporter. The documentary will include previously unseen footage of the "Judas" incident during the May 17.1966 Manchester concert with Dylan and the Hawks/Band. In addition to a PBS telecast, Columbia/Legacy will be issuing a 2-CD set of unreleased Dylan recordings and Paramount Home Video will release a DVD version of the documentary containing additional footage. The books in the 33 1/3 series by Continuum Press addresses specific records in roughly 130 pages. Among the series' past subjects are Abba (Abba Gold), The Rolling Stones (Exile on Main St.), The Beatles (Let It Be), Love (Forever Changes), Jimi Hendrix (Electric Ladyland), Joy Division (Unknown Pleasures), Pink Floyd (The Piper at the Gates of Dawn) and the Beach Boys (Pet Sounds). According to series editor David Barker, Continuum just signed up a short novel about the making of The Band's Music From Big Pink. Levon Helm invited his two 9-year old friends and musical talents Tyler Hough and Myles Mancuso to a rehearsal/jam session at Levon Helm Studios in Woodstock, NY, in November. Photos and video from the event can be found at the web sites of Myles and Tyler. Included a promotional video (105MB! WMV-file) for Robbie's Music for the Native Americans album from 1994. "Case analysis Country crooner carefully crafts new disc"
"Live 'Tigers' has Case fired up"
Garth worked with the Swedish Willy Clay Band in Nashville, TN, this past week. Album to be released in 2005. 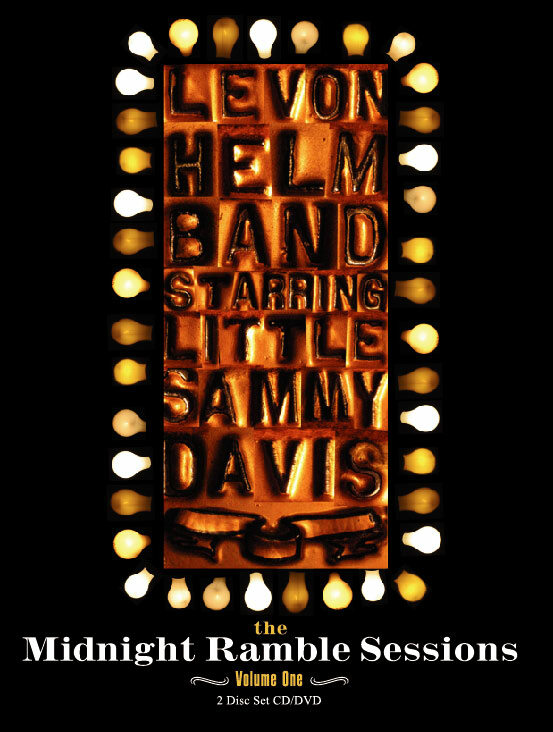 The Levon Helm Band, starring Little Sammy Davis, are playing at the The Heritage Blues Festival in Wheeling, West Virginia, on Saturday, August 13, 2005. A promo video for the new CD/DVD from The Levon Helm Band is now available from levonhelm.com (scroll down a bit to find it). Nice little 2002 Garth interview in Eye magazine. Thanks to our ol' friend Harm Van Sleen for this link and the one above. On January 19, 2005, The Levon Helm Band, starring Little Sammy Davis, will help kick-off The Blues In The Schools Program at John Jay Senior High School in Wappingers, New York. The program is being organized by Assistant Principal, Rochelle Pyne and will offer students an opportunity to interview and ask questions of two blues legends - Levon Helm and Little Sammy Davis - about their personal musical histories and how "the blues" has influenced their careers. The program will end with The Levon Helm Band playing a 40-minute set for the students and faculty. Although this is not open to the public, we do want everyone to know about Levon's schedule and his never-ending commitment to children and young adults pursuing musical careers. If your school is interested in a Blues In The Schools Program and/or if you'd like The Levon Helm Band to participate, please contact us at levonhelm.com. The release date for Garth and Maud HUDSON's duo CD, LIVE at the WOLF, on Make It Real Records has been postponed due to a change in distributors. An update will be posted here soon. More details about Garth Hudson's contributions to Graham Parker's 1991 album Struck by Lightning. Thanks to Peter Viney for posting this in the new The Band guestbook. Added cover art for the Levon Helm Band's new CD/DVD set The Midnight Ramble Sessions Vol.1. Levon Helm's self-titled 1982 album will be re-released by Kejo Entertainment in the US in 2005, with remastered sound and bonus track "Summertime Blues." Included a scan of a Spanish Last Waltz poster. The great Wilco did a very The Band-like cover version of "I Shall Be Released" (5.5 MB MPEG3-file), including Richard Manuel-falsetto singing, at their 2004/2005 New Year's Eve concert in Madison Square Garden, New York. Added cover scans for the original 1972 LP A Tribute to Woody Guthrie, Part 1, featuring Bob Dylan with The Band. Thanks to Tim Witte for the contribution. New web server statistics for The Band site created, showing a phenomenal growth in traffic since the last analysis from January 2004. 323.000 file requests per day in average! 338 Gigabytes transferred in 9 days!! The next Midnight Ramble Session at the Levon Helm Studios in Woodstock, NY, begins at 7 p.m., March 26, 2005. Tickets $100 per person, purchased through levonhelm.com. Advance sales ONLY, no tickets will be sold at the door. Number of tickets limited to 150. Musicians to be announced. New review/interview and photos from Garth and Maud Hudson's Magic Keyboard Tour in Ontario in December. Thanks to Ross Muir for allowing us to use his article and pics. Beer commercial recorded at The Toolshed, Chicago, in 1988. The line up is Rick Danko - vocals, Jim Tullio - guitars and hand jive, Paul Jost - harmonica (Paul is the composer of "Book Faded Brown"). Produced, recorded and mixed by Jim Tullio at The Toolshed, Chicago. From Irishman Larry Hogan's album Travelin', recorded with Rick Danko in Chicago in 1993. The line-up is Larry Hogan - guitars and vocal, Rick Danko - chorus vocal, Richard Bell - piano, Greg Marsh - percussion, Jim Tullio - bass and drum programming. Produced and engineered by Jim Tullio at The Toolshed/Chicago, mixed by Paul Lani at CRC/Chicago. A Happy New Year to all visitors to The Band web site. We're starting 2005 by announcing the winner of the The Band Christmas Quiz 2004!